Every season, I peruse runway photos, devour fashion magazines and scan street style blogs to see what inspires me. Honestly, some seasons, I’m like, meh. Maybe I’ll “skip” this season and just stick to my tried-and-true faves. After all, if you follow fashion long enough, you see that trends don’t last just one season — with some exceptions, a trend is usually good for at least a couple (I’m looking at you, midi skirts and culottes), almost as if designers want to give consumers some time to really buy into the look. 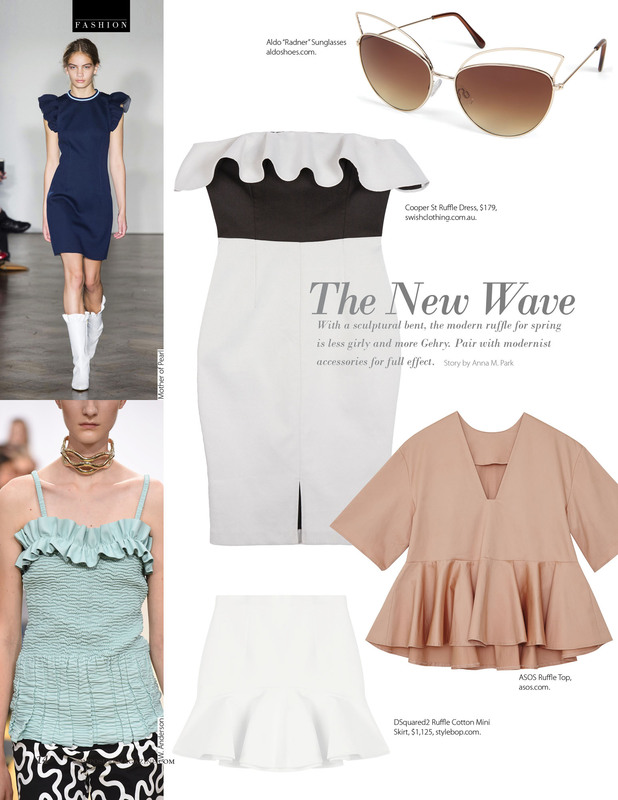 But this season, I immediately zeroed in on my must-have, absolute favorite look — the modern ruffle. 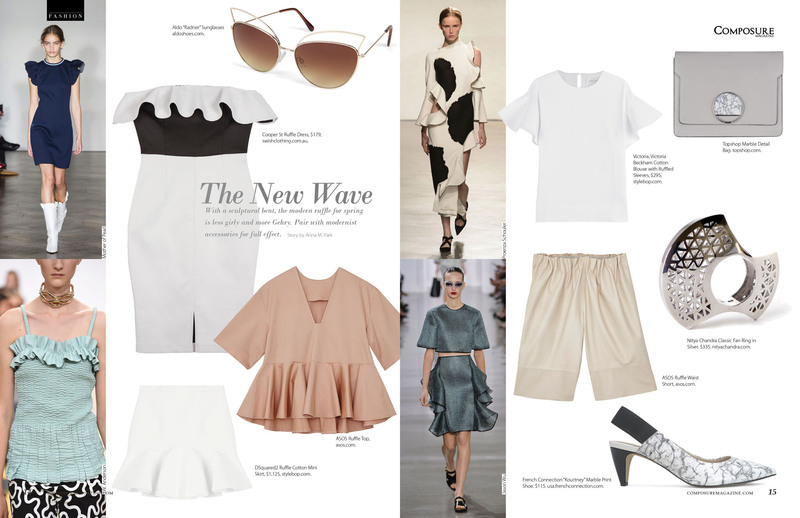 Unlike the peplum of a few years past, the modern ruffle is more Gehry than girly, with a distinct edge to give it a high-fashion twist and none of the giggly connotations. 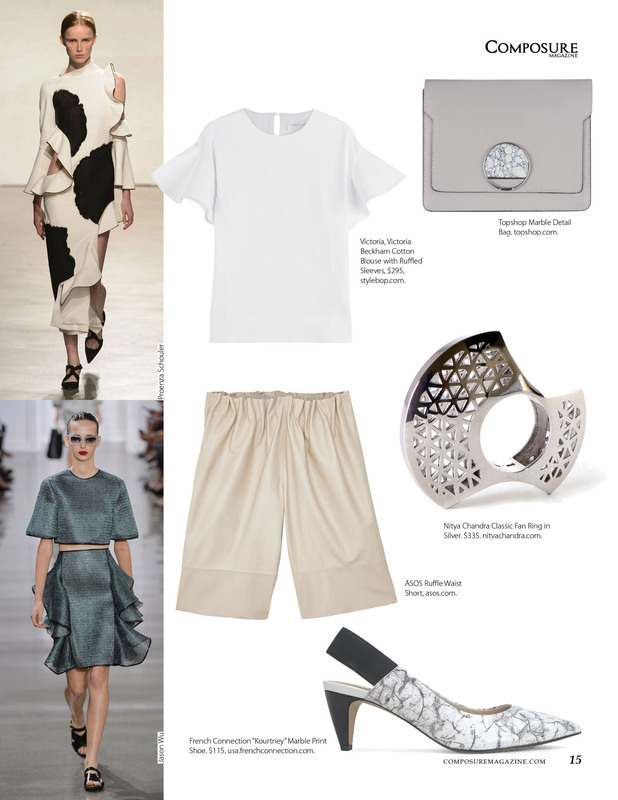 It’s sculptural, the perfect detail to an otherwise minimal silhouette or monochromatic scheme. Drive the statement home with marble accents and architectural accessories, and you’re pretty much set through fall. See more of the look (as well as a link to shop the modern ruffle) in my latest story for Composure Magazine after the jump. Get your own modern ruffle by shopping this link. Written by me and originally published in Composure Magazine. Get the latest issue here.